Your Camperdown Locksmith is On The Way! Do you live in a Victorian terrace or semi-detached with your kids or alone in a former corner store? Security is very important to everyone and we know Camperdown residents take their security seriously. That’s why you need your Camperdown locksmith, an expert in security. From jammed or sticky locks, to 24/7 emergency lock out service or installation of locking systems, we have a solution to suit you. 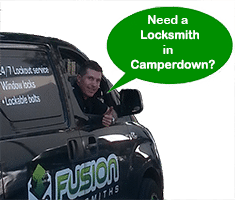 The team at Fusion Locksmiths are fully licensed, insured and police checked, for your peace of mind – and we know what we are doing! Don’t forget your car too. We have automotive security devices to protect your car, especially if you have to park it in the street all night. Have You Recently Moved to Camperdown? Do you know how many former residents or tenants have access tot he locks at your new home? Chances are there are several previous residents that may be holding on to a key to your place. With a good locksmith are many ways you can change the locks to render these keys useless. From a simple rekeying if the lock is still strong and durable to a complete changing of the locks if they are not up to offering you a level of security you need. Has Your House or Apartment Been Broken Into? Call the police, then call Fusion Locksmiths. As the Inner West’s trusted locksmith will be there fast and will bring you reliable and expert service to get back to feeling safe again. A break-in is an awful experience, so our locksmiths can fix your locks and increase your security to prevent it happening again. We know Camperdown as we have been working in the area for over 9 years, so we know the type of security for your style of house or apartment and family requirements. 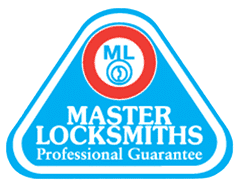 Our expertise and experience means Fusion Locksmiths can offer you 12 months guarantee on their work. 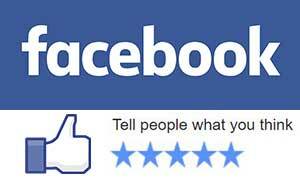 Also all our jobs are completed professionally and correct the first time. For top quality security to keep you and your family safe, there is no other locksmith to call!